When you are walking through the aisles of a supermarket one sees an array of chocolate delicacies for sale. The assortment of chocolate bars and sticks, chocolate milk, cakes, cookies and the like are all available. Depending on what you put into your favorite midnight snack, chocolate has it’s very unique “healing” powers. Chocolate starts with a tree called a cacao tree. The tree produces a fruit about the size of a small pineapple. Inside the fruit are the seeds known as cocoa beans. The beans are sent to a chocolate maker who roasts the beans to bring out the flavor. The roasted beans are winnowed which removes the meat of the bean from the outer shell. Called the nib, are then grounded into liquid called chocolate liquor. Cocoa beans are half fat which causes them to turn into a liquid when ground. If one were to leave the chocolate liquor alone and let them cool and solidify, that is how unsweetened chocolate comes around. On the other side you can squeeze out the fat from the cocoa bean and what is left when grounded is cocoa powder. Add a bit of sugar, and milk with the chocolate liquor and cocoa and the deliciousness of Milk Chocolate comes out to great you! That creamy, to-die-for texture and deeply gratifying taste has been the choice of the discerning taste buds for centuries. But it’s not all in the taste that you can get the benefit. 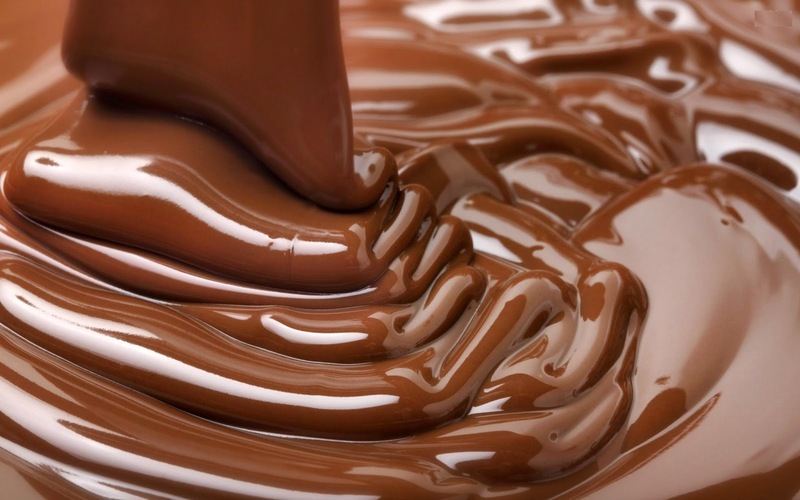 Why does chocolate create such reactions and feelings? It’s all in its chemistry! Chocolate contains naturally the chemical phenylethylamine which is a straight up endorphin. When you are feeling good, or have a pleasant experience, the body organically releases the endorphins…. Yep, who said that eating chocolate WASN’T pure pleasure!? These feelings can include a greatly elevated mood, sense of excitement, attraction and yes, pleasure that can result in feelings of contentment, wonder and love. Throw in the health benefits, because when it comes to chocolate and the heart, the emphasis should be on the dark side of chocolate. Dark chocolate is rich and in a group of antioxidants called flavanols. And despite all the fancy names, in small amount, this ingredient is said to lower blood pressure, increase vascular health, lower the “bad” cholesterol, and improve how your brain works. So Bon Appetit! Treat yourself today with the amazing chocolate desserts, treats, and snacks that can help you in all sorts of ways! Even if you think that chocolate isn’t the “bee’s knees”, it can certainly make the ride of life worthwhile.